Here’s a stylish blonde Japanese girl named Rieko who we met in Harajuku. Rieko works for the Ami & Aya-produced fashion brand Jouetie. 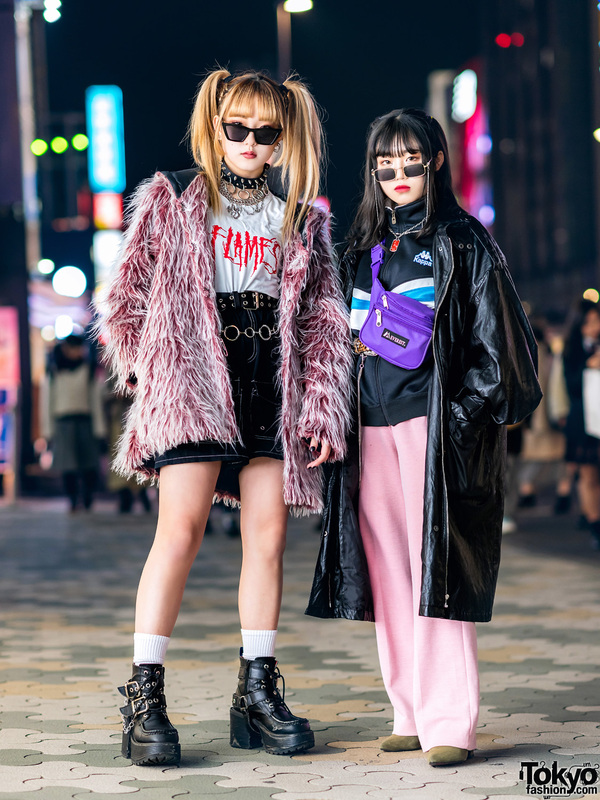 Rieko is wearing a layered outfit – featuring items from Glad News and various Tokyo resale shops – that includes a pink knit sweater, a denim coat, a graphic-print skirt, Minnie Mouse tattoo tights, and leopard-print platform shoes from WC by Chinatsu Wakatsuki. 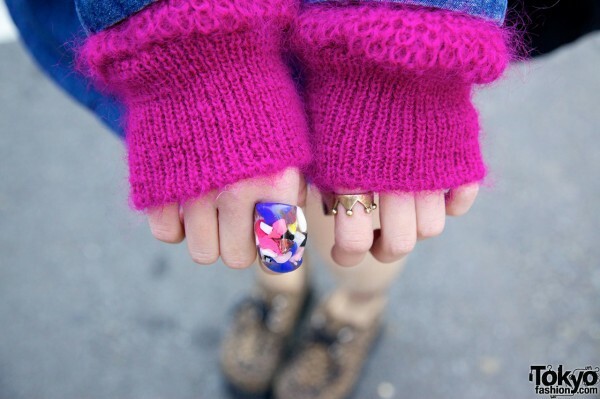 Accessories, some of which came from Rodeo Crowns, include a crown ring, a large fused glass ring, a button from Nadia Harajuku, and a “Candy USA” button. 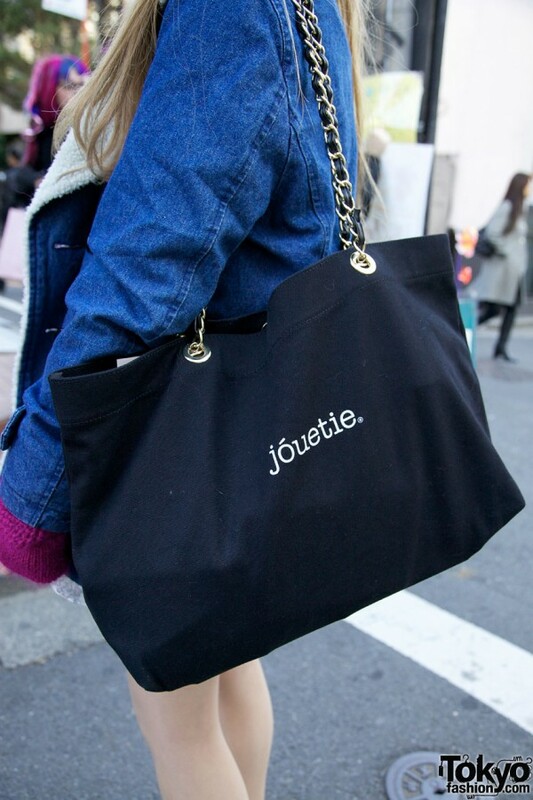 Her tote bag is from Jouetie. Rieko told us that her favorite brand is Jouetie and her favorite musicians include Michael Jackson and Cyndi Lauper. For more information on Rieko, you can check out the official Jouetie website here. I love her hair and the creepers! This is really cute~ She really pulled this off!